As the most populous country in Africa and the largest economy on this continent, Nigeria is a major partner for China in Africa. On February 10th, 1971, China and Nigeria established diplomatic relationship, and ever since then the bilateral relations have been developing smoothly. To be particular, in 2005, the two countries established Strategic Partnership. With the promotion of the leaders and efforts by the peoples from both countries, many fruitful results were witnessed in recent years. The year of 2015 marks the 10th anniversary of the strategic partnership between China and Nigeria, and of course this partnership has been benefiting to both countries in various ways. China and Nigeria have been enjoying closer relations and expanded cooperation in many ways, namely high-level exchange of visits, deepening mutual political trust and boosting economic cooperation featured by mutual benefit and win-win results among others. In the political field, Nigeria is the second country on this continent to establish strategic partnership with China. We have witnessed frequent high-level visits between the two sides, and the political mutual trust has been enhanced. In May 2014, Chinese Premier H.E. Mr. Li Keqiang visited Nigeria and attended the 24th World Economic Forum on Africa. During this visit, China and Nigeria signed 13 Agreements, which will further promote bilateral cooperation in railway, aviation, power, agriculture, finance, as well as energy, thus help China and Nigeria form an even closer strategic partnership. On May 29th 2015, Special Envoy of Chinese President was invited to attend the Swearing-in Ceremony of H.E. Muhammadu Buhari, President of Nigeria, and had an audience with the president. The conversation went on very well. Both governments expressed their readiness to have closer contact and have greater cooperation programmes. We have already made it very clear that the Chinese government is going to work with the new administration of Nigeria led by President Muhammadu Buhari. We will work very closely to promote the relations. There are many things we can do, politically which lead to trust, economic investments, people to people exchanges, cultural exchanges and many more. Economically, Nigeria is a very important partner for China in Africa, the practical cooperation between the two sides in trade, agriculture, energy, infrastructure as well as IT technologies has been surging ahead. In the past few years, the trade volume between China and Nigeria almost doubled. In 2013, trade volume between China and Nigeria reached $13.59 billion, accounting for 6.5% of the total China-African trade volume. In 2014, China and Nigeria trade volume reached $18.1billion, a 33.2% increase year on year, taking the lead for other major African countries. Nigeria is the first country to accept Chinese RMB Yuan as its foreign reserve. Nigeria is also the largest market for Chinese project contractors and the second largest market for Chinese exports and the third largest trading partner in Africa, Nigeria is also a major destiny for Chinese capital. In areas of culture and people-to-people exchanges, China enjoys five thousand years history and splendid civilization while Nigeria represents the ancient civilizations of Africa, and we could draw the strength from each other. In the past few years, the people-to-people exchanges between the two countries have been increasing and the interactions are more frequent. Nigeria was the first African country to establish a culture center in China, and the Chinese culture center was also established in Nigeria. 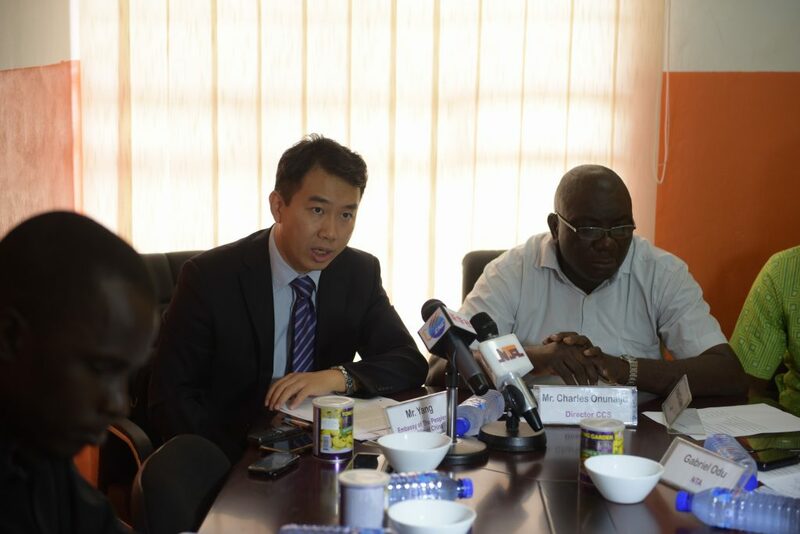 Moreover, Nigeria Centre for China Studies was formally put into operation in 2015. Every year, many cultural and academic groups from both countries visit each other. Right now, China has established 2 Confucius Institutes and 3 Chinese language centers in Nigeria. Nigerian people, especially the young people are very enthusiastic about learning Chinese. 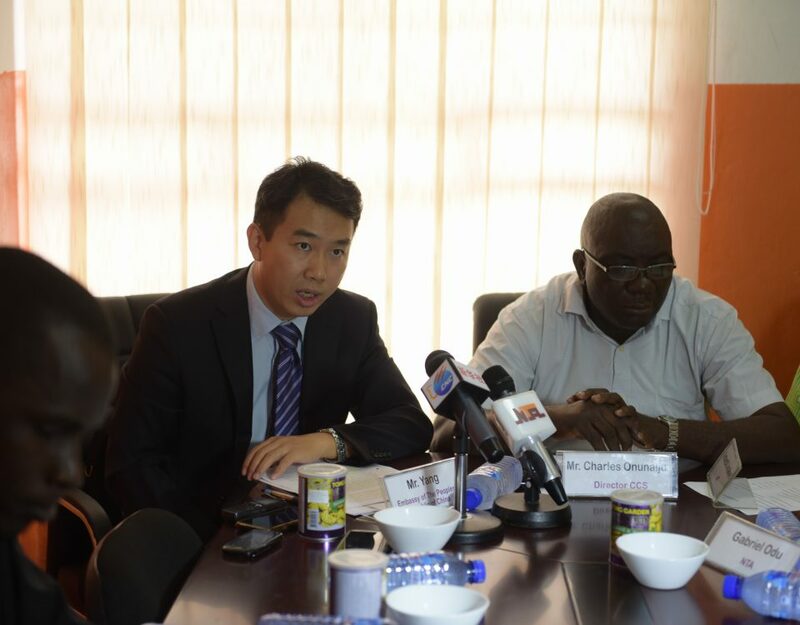 Since 1964, China provides government scholarships to Nigerian students. Currently, each year we gave about 100 government scholarships, and at the same time more than 400 Nigerian students funded by their family to study in China. Every year we also provide various training programs. According to statistics, till now, we have trained more than 2700 Nigerian people in various programs. What is more, as members of the UN Security Council, China and Nigeria have extensive cooperation in many international and regional issues. For major issues which have international and regional implications, China and Nigeria always communicate and support each other so as to jointly safeguard the interests of the African and developing countries. As the biggest economies in Asia and Africa respectively, China and Nigeria also boast with large populations. The two countries are important partners for each other and provide opportunities for each other. Nigeria enjoys abundant mineral, land and human resources, and the large population also creates a big market. China has the capital, technology edge as well as experience, which are all needed by the Nigerian side. The two countries have a great potential to work in a wide range of fields such as energy, infrastructure, agriculture, manufacturing, aviation as well as IT technology. Strengthening the cooperation between our two countries serves not only the interest of both countries, but also that of the region and the world at large. On our separate journals of realizing our development goals, we need to join hands with each other and work towards a win-win future. While we are marching on this journey, I hope that all friends present here today will serve as a building block and driving force for the development of the China-Nigeria strategic partnership.